This research paper highlights the problems of the students of secondary level regarding vocabulary enhancement through speaking skills. The students of the Govt schools are not fluent and accurate in terms of their vocabulary and speaking skills. They have not been provided with the opportunities of taking participation in debated and speeches. This is the great hindrance for them in their ways of success. The purpose of English language teaching is to enhance and exaggerate the vocabulary and the speaking skills of the students. In the Govt School teachers do not motivate their students towards the recognition of the vocabulary and awareness of the speaking skills. This research paper has given its own stance by indicating the fact that students should be given occasion s to take part in the extracurricular activities so that they may be able to enhance their vocabulary and speaking skills as well as their studies. For the purpose of substantiating and consolidating this view point the theory of human memory will be discussed. This will determine the fact that students learn Vocabulary when they get confident of speaking in front of the people. 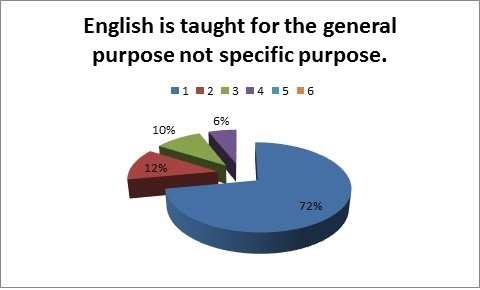 With the help of Questionnaires and surveys the stance of this paper has been approved the purpose of teaching English as second language is to enhance the vocabulary though speaking skills. This research paper is going to explore the important but negated area of enhancing vocabulary through speaking skills in the students at matric level. In the present situation of the Govt schools students have a very limited vocabulary which is not enough to meet with the standard of English language learning. 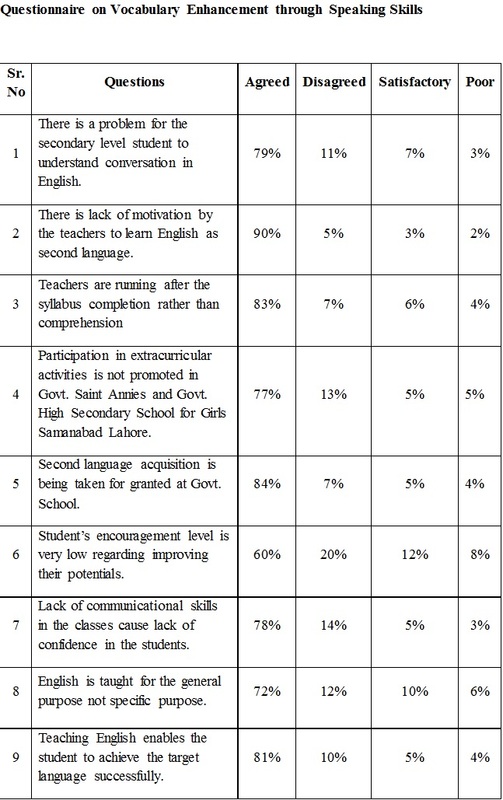 Students of the Govt schools are not motivated towards the speaking skills. Although importance is given to the reading and writing skills but the speaking skills have always been neglected. But the speaking skills are those skills without them comprehension cannot be completed. The managements are not aware of this fact how speaking skills are more crucial more any other skills. The purpose of this research paper is to bring the hidden aspect to the surface. In most countries the large numbers of students renounce learning English as second language because they consider it the most difficult task to be master in. No attention has been given on this serious issue of lacking vocabulary of the students at secondary level. In most countries students are not being given attention and guidance in this regard because the schools in which they are studying they lack practical implementation of speaking skills in the academic career. The completion of the syllabus on time is the intensity of their success. Teaching English to enhance vocabulary through speaking skills will be the focus of this research paper because it will elaborate its importance in the development of the students’ academic career. In the public sectors schools lectures are delivered without considering their positivity. Extracurricular activities have not been given importance in the public sector schools. Debates, speeches questioning and class participation are the tools through which speaking rate can be increased to a certain extent. In the public sectors schools focus on extra curriculum has been considered the wastage of time and knowledge whereas such sorts of activities are those activities which are the great asset for the students to accelerate in the field of learning English as L2. Through debates and speeches students get confidence and become eager to learn English as second language. They become able to have the enhancement and improvement in their words access and vocabulary. Communicative skills also come in the context of speaking skills. In this research paper communicative skills will also be discussed because through gossip and conversation with each other cobwebs get cleared. The most important motive of this research paper is to inculcate and instill the high intensity of confidence which will be useful for them having the fluency and accuracy in their English language learning in the near future. Questioning in the class rooms plays a vital role in the development of the students’ speaking skills. The aspect of encouragement will also be the part of this research. In the public sector school where there is no concept of debates speeches and any other speaking skills, student’s abilities ad capabilities are not acknowledged. This effort of going into the depth of this problem will prove how the aspect of encouragement is important for the students in order to make them excel in the learning vocabulary through speaking skills. The theme of this research paper deals with the fact of Teaching English to enhance vocabulary through speaking skills. This is considered as the contention of this research in which it has been claimed that vocabulary can only be increased by the speaking skills. There are no any other skills which come in the context of its being effective in this regard. Speaking skills are considered the real target to achieve the purpose of the improvement of the students in terms of vocabulary at matric level. There are infinite critics who have much talked about the ELT Scenario. They also work upon the use of strong vocabulary at secondary level. On the contrary, there exists such critics who also worked upon the issue of vocabulary but they have not been able to support the argument of this research paper. The spectrum of their thought is totally different from the strand of this research paper. They put their own stance in the improvement and construction of the students’ characters. They do not even bother about the opinion of the students what are their problems and how can they can take themselves out of that problem. They do what seems right to them. The interesting part of this research is that no one talks about the enhancement of vocabulary through speaking skills. They considered the aspect of speaking skills the least important which should not be taken care of because according to them other skills are there to fill up the gaps of it. It has nothing to do with any productivity in the field of academic career of the students at matric level. So much so, it has also been claimed that it is just a wastage of time. A theoretical framework should be give preference rather than the practical implementation. Therefore, having all these arguments this research paper will prove the importance of the speaking skills in order to promote the vocabulary at metric level. It becomes possible when English will be taught having with the focus of the improvement of vocabulary. It will bring the significance of the enhancement of vocabulary through speaking skills. There are some of the views of those critics who support the stance of this thesis. In this article the process through which learn speaking skills and enhance vocabulary is discussed. Critics are of the view that in the beginning they are fearful of being inane of English language but soon they start developing confidence in themselves and participate in the class questioning and discussion. In this way they improve their vocabulary and speaking skills simultaneously. The point of the research paper is being consolidated by this stance of developing aural speaking skills. The improvement of the vocabulary is because of the communicative approach in the field of learning. But these critics did not fully support this research by negating the fact that instructors are responsible for these skills not the students. “They enter schools with more limited vocabulary knowledge than their middle-income and native English speaking counterparts. The specialized and sophisticated language of the text is a particular source of difficulty for students who struggle with comprehension.(5). The fear of the audience takes the students away from their rights of existence in schools freely. According to this strand the purpose of the arrival in schools is not to finish the syllabus in fact it is to be the crucial part of the curriculum in which everything becomes effective with the practicality and implementation. Students of the public sector schools hardly comprehend the meaning of the text. This argument is supports the stance of this research paper but the flaw comes when it gets cleared that it does not completely supporting it. At first it is indicates that the students of the secondary level have the low rate of vocabulary and do not comprehend and learn the concepts of their target language. But on the other hand it is observed that it does not acknowledge that vocabulary skills and enhancement in the comprehension can be improved through speaking skills. The significance of this research is highlighted here because no one claims that enhancement in the vocabulary can be learnt through speaking skills. Martha Castaneda Eva Rodriguez –Gonzalez in their articles “L2 Speaking Self-Ability Perceptions through Multi Video Speech Draft” throw the light on the importance of the speaking skills. They are of the view that students at secondary level impart knowledge because of speaking and communicative skills because the aspect of listening is peculiar in this field to get the fluency in vocabulary. They further claim that management and the educators also know the significance of these speaking skills. Therefore, these are the most effective ways through which improvement gets confirmed in the matter of academics. With the process of self-evaluation learners needs and the requirement are brought on the surface level. This all becomes possible with the proficiency in the speaking skills. With the enhancement in the speaking skills students get to know at what level their speech quality is what they need to improve in terms of their production skills. They evaluate and scrutinize themselves while discussing queries with others. They want to clear their ambiguities and cobwebs which are suppressed because of not having the free will and opportunity to speak up. In his way they get the chance to demonstrate their aptitudes in front of others. This is also very important because the speaking ability gets increased which helps the learner to carry on with the passion that they have. Speaking skills are really very important in the construction of the students’ characters. With the help of meta-cognitive approach they learn more from this communicative experience which lets them to excel and tackle every problem of the academic career. This research paper will serve the purpose of substantiating this point of review which has already been conveyed by the critics. There are some gaps which are needed to be fulfilled by this thesis. Having this view point of the critics that reading and speaking skills are essential to get the comprehension of the text and the enhancement in the vocabulary. This stance of the critics is going to substantiate and consolidate the strand of this research paper. In this paper speaking skills are considered the most important skill in the improvement of the vocabulary learning process. So is the case in this article that speaking skills at secondary level enable the students to exceed their words limitation and work with collaboration with each other. The crucial point of this article is that the strand of this article does not match with the complete needs requirements of this thesis because according to it, reading skills have also been given significance. This thesis demonstrated that the reading skills are not as important for the enhancement of the vocabulary as the speaking skills. In this context this view point on the one hand is also negating the purpose of this research paper by calling the reading skills a reason of the enhancement of vocabulary. There are still some gaps which ask the contribution of its readers and researchers to add something into it. Eli Hinkel in his article “Current perceptive on Teaching the four Skills” claims to be the negator of this research’s stance in which he says that it is not necessarily important to give regard to the speaking skills only. Speaking skills have nothing to do with the improvement of the vocabulary. The enhancement in the process of vocabulary comes by using four skills. Each one of the skill is exceptionally useful for the enhancement of vocabulary. Nothing should be more preference than these skills. It is directly negates the view point of this research because in this thesis the point of enhancing the vocabulary is because of speaking skills which motivate the students to go ahead in their lives to get something extra ordinary. The rest of the three skills are also important but without speaking skills acceleration can never be achieved because communicative approach is the most crucial element to be acclaimed in the academic career. It is very peculiar for the students to go with the speaking methodology because it is the approach which overcomes all the other approaches. Hilken in this view point supports the four skills as the fundamental need of the learning process of vocabulary. Debates and speeches are very important to be confident in the academic career but this article gives importance to the four skills. According to its efficacy these four skills are inseparable and interlinked. If one gets apart from others then other do not work according to its proper need and requirements so these all skills are intermingled and interrelated which cannot be separated ever. 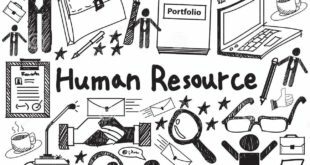 It has been considered that from 1990s to onward this scenario is working that the learning of L2 is just possible having all the four skills altogether. Youngkyu Kim in his article named as “Effects of Input Elaboration on Vocabulary Acquisition through Reading by Korean learners of English as foreign Language” is of the view that students at secondary level increase their vocabulary because of their competency and proficiency in their reading skills because without reading again and again students cannot be fluent in terms of their vocabulary production. It is reading which enables them to speak with fluency and accuracy. The role of speaking skills does not matter in the presence of reading skills. Input of any thing gets enhanced because of the acquisition with the vocabulary at metric level. “Learners acquired English vocabulary incidentally from reading either elaborated, enhanced, or both elaborated and enhanced English written text while reading for meanings. The study id motivated by two strands of research in the field of second language acquisition (SLA): elaborated and enhanced written input, an incidental vocabulary acquisition through reading” (Kim 341). This is illustrated that reading skills should be elaborated and enhanced in order to have the grip in the vocabulary acquisition. Reading skills are those skills which are the fundamental need of any acquisition. Students learn the meanings of the text having the best understanding with the reading skills. So these skills on the student’s part should be elaborated and enhanced. According to this view point speaking skills has nothing to do with the enhancement of the vocabulary acquisition. This stance has negated the view point of this research. Having the strong arguments of the students of the selected Govt schools and with the help of observation, this strand will be negated. This research will fill up the gaps of the Second language acquisition. It will highlight the real objectives and advantages of the speaking skills. “Learning the meanings of new words is an essential component of early reading comprehension. Vocabulary is at the heart of oral language comprehension and late reading comprehension. The size of children’s vocabulary knowledge is strongly related to how well they will come to understand what they read. Logically children will need to know the words that make up written texts to understand them especially as the vocabulary demands of content-related material increase in the upper grades”(300). For the purpose of comprehending any logic reading plays a vital role in the understanding of the concept. Students learn the logics of the English language learning by the dint of reading it again and again. This research paper claims that the vocabulary of the students enhance when they use them in their practical lives. Without implementation vocabulary dos not exists in the human mind for the long time. Reading skills do not give the exposure to the English language whereas speaking skills do. According to the article at the upper level in schools, reading is the most affected tool for the learners to have the English language acquisition. “When the focus shifted to prior knowledge in reading, learning vocabulary through wide reading and context received more emphasis” (524). In this article critics are of the view that students learn more vocabulary with the wide range of reading. Because of readability they produce and pronounce new and different words easily. This brings a very positive change in their character building. Moreover, it is the reservoir through which they can reach at the threshold of success. The focus should be on reading skills rather than any other skills because it is the basic skill which gives birth to the other skills. The research paper is important because it demonstrated the negated fact of English language acquisition. Most of the scholars and critics talked about the readability and reading skills. There are a few critics who supported the view point of this research but they did not fully support them. Three are some gaps left which will be sorted out by this research paper. This research will emphasize on the fact that speaking skills are the fundamental skills through which vocabulary and English Language acquisition becomes enhanced. Readability makes the learners to memorize the concepts. Communicative approach is a key to have the development in vocabulary and speaking skills to a high extent. Having this view it is observed that communication with their students by taking participation in the activities encourages the students to comprehend the real logic of the vocabulary. It is explained in this book that practice really helps the students to correct their mistakes. It did not completely support the argument of this research paper. It does not explain that speaking skills are advantageous for the vocabulary enhancement. They have just motivated the communication skills for the best speaking skills. This view point suggests that extracurricular activities are very essential for the speaking skills. It is the best asset in the fluency and accuracy of English language learning. It further helps the students to resolve the problematic area of English language leaning. “To build up your students’ confidence, you can suggest that they can use their first language for a group discussion about the activity. Then, they can tell the class or other groups about their ideas in English. This is particularly helpful if they have to speak about complex ideas. They can gather their ideas easily and quickly in their first language, and then communicate them in English to the rest of the class” (91). In the “Essentials of Speaking Skills” it has been justified that because of communication and team words along with the development in the vocabulary students also learn to help each other in the difficult phases of lives. It further enables them, to come together to communicate regarding English language learning. These students coop up with the circumstances as compare to the other learners and perform well in the second language acquisition. While participating in the extracurricular activities students overcome their fears and without any mistake they can enhance and exaggerate their capabilities and qualities in front of people. The purpose of English language is to enable the students to promote speaking skills by motivating vocabulary in the field of learning. All the critics in some or the other have supported or negated the view point of enhancing vocabulary through speaking skills. This thesis will positively highlight those points through which vocabulary of the students and speaking skills can be enhanced to a high extent. Supporting view will be helpful for this research paper in order to substantiate and consolidate its stance. 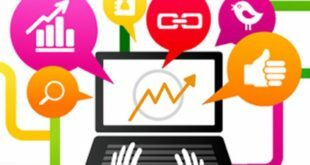 Moreover, this research will be advantageous for those who will research in the coming future because of its scope in the field of English learning acquisition. In the chapter of Data Analysis the illustration of all these concepts will e presented with the examples. The point of the thesis will be discussed in details which will a great asset for the students to develop the speaking skills and enhance their vocabulary to a certain extent. 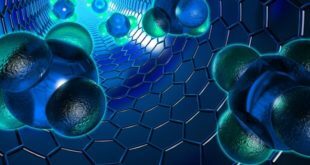 This research will be academic and cross-sectional in nature which contains material from books, online articles, observations and interviews to enhance the validity of this research. Moreover, in order to explore the topic” Teaching English to enhance Vocabulary through Speaking Skills” these all methods will be used to have the best contextual references in which the problem is arisen. 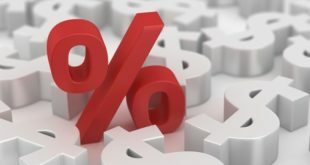 This research will be both qualitative and quantitative because whatever will be mentioned will also be presented in the percentage format. The methodology of this research paper will be case study. 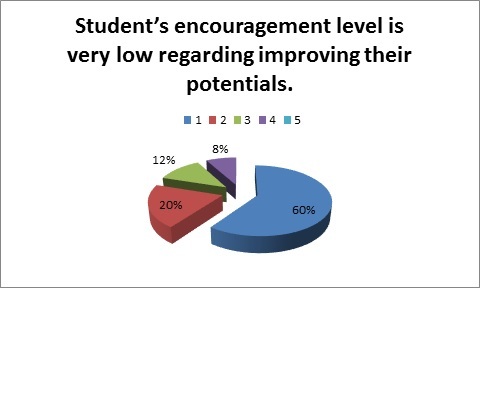 Through observations Surveys students’ response in the concern field will be taken and with the help of pie charts their result will be demonstrated in percentage. Theory of human memory will be referred in order to consolidate and support the argument of enhancing the level of vocabulary in the students while teaching English through speaking skills. Both inter-textual and intra-textual references will be given. So much so, the whole notion of the critics will be negated. This research paper will have the inclination of proving the enhancement of vocabulary through speaking skills which has been negated by the researchers. The rationale of choosing this topic is to broaden the canvas and the spectrum of thinking of the students in terms of learning vocabulary through speaking skills. All the previous researches have talked about vocabulary enhancement but they did not relate it to the speaking skills which are very important to impart the real knowledge. The area of Samanabad is selected because in these schools student have very limited vocabulary at the secondary level. English is taught to them as a boredom or mandatory to excel in the particular department. This research will give them the real ray of hope to live under the umbrella of creativity. This research is important because it talks about the unique aspect of English language teaching. Teaching English to enhance vocabulary through speaking skills is lacking in the academic career of Govt Schools. For the purpose of research some concerned schools have been selected which are not taken care of in the past and not in the recent scenario. The concept of speaking skills and vocabulary enhancement has not introduced yet. This research is going to introduce the concept of vocabulary enhancement in the students of secondary level through speaking skills. Students of Govt Saint Annies Girls High School and Govt. High Secondary Girls School do not know the real concept of English language learning. They are unable to comprehend the concept of the second language acquisition. They take English for granted because they have not been taught by the teachers critically. Students are of the view that they cram the subject of English. It has nothing to do with their comprehension. There is no concept of extracurricular activities in these schools. More focus is on the completion of the syllabus rather than learning. In such circumstances there is need to highlight those aspects which can bring the positive change in the construction of the students’ characters. This research has been designed for the purpose of vocabulary enhancement through speaking skills. 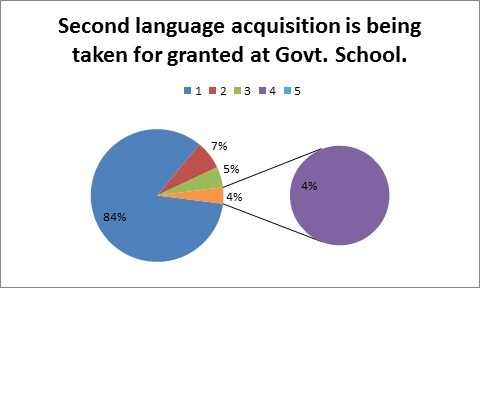 After negotiation and taking the response of the students of the Govt schools it has been observed that students are reluctant in the classes to grasp the knowledge of second language. They do not ask questions from the teachers because they do not have much vocabulary to use in the conversation. They have a fear of audience because they have not been provided the opportunities in the schools to participate in the extracurricular activities. They lack confidence which cause ineffective learning of the target language. They are bound to learn English because there is nothing interesting for them regarding their second language. Debates, speeches and other activities are very important to promote and motivate the communicative skills in the students. By the dint of speaking motivation lots of success can be achieved. Participation in such activities enables the students to broaden their vision and think with open mind. Broader spectrum leads towards creativity of the students. They become more eager to learn English language not for the sake of compulsory subject but to be amused through it. By observation it gets cleared that students have weak vocabulary which does not let them to perform in the English language acquisition. This research paper is significant because students’ opinion and views have been taken through questionnaires. The purpose of this research is to survey in these schools regarding vocabulary issues. The nature of the questionnaire is designed according to the level and mentality of the students of secondary level. In this questionnaire their problems are highlighted which are possibly helpful for them in the near future. After receiving the questionnaires from the students it has been resulted that students of Govt. Saint Annies Girls High School are of the view that in their schools there is no concept of vocabulary and its enhancement. The more focus is given on the completion of the syllabus without bothering how much it is being comprehended by the students. Most of the students claim that their vocabulary is very limited which does not let them to put up questions in the class confidentially. Furthermore, it is a drastic problem for them to learn the concept of English as a second language. They are unable to understand the logic of English language. The aspect of creativity lacks because of cramming English language is being learnt. 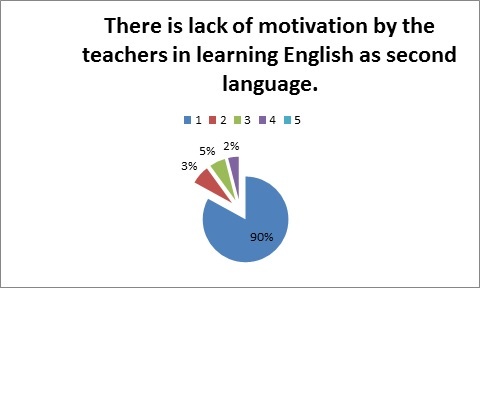 Teachers are not motivated to guide their students properly regarding the English Language acquisition. The purpose of teaching English is not to promote the vocabulary because there is no emphasis on the speaking and communicational skills. They agree upon the fact that debates, speeches, class participation and other extracurricular activities are not as encouraged as they need to be. They were of the view that they have a fond of doing and taking participation in all these activities but the management of the school is fail to introduce such opportunities for them. In these Govt schools students are submissive in terms of their studies and having no interaction with other students. This research is designed to demonstrate and provide remedy of these problems of the students. Students at secondary level in Govt schools are leading their lives with inferiority complex. They are not able to compete with the other students having superiority to them in the field of English language learning. Moreover, they are pessimistic because of not having any ray of success in the process of English language acquisition. According to the views of the students they are afraid of their dark future because no step against their progress is being taken up till now. They have not been given any solution of the problems yet. Teacher’s role is just of the facilitators not the guiders who could sort out the problematic issues of the students closely. This research is going to be a real platform for the students of Govt schools it has provides them the ray of hope through which they can flourish the purposes of their lives easily. Furthermore, it facilitates them with the awareness of the importance of the speaking skills and significance of vocabulary enhancement. 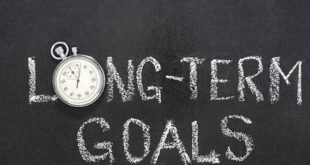 According to the theory human memory students cannot achieve their target unless they have been trained in the relevant field to attain their goals. Students of the Govt schools have aptitudes and potentials but problem occurs when it gets cleared that their talents are not being enhanced and exaggerated to a certain extent. Having the concept of the theory of human memory students are not motivated and guided by their teachers. Therefore, they are unable to make progress. The best way to tackle this problem is to provide them the opportunities to take participation in the speeches, debates, game and other extracurricular activities. The spirit of working with the other students will enable them to perform well in the learning process of English language. They have transferred their thoughts and ideas with the others. It is a best source of encouraging and acknowledging their potentials to a possible extent. With the help of this research students will become more enthusiastic and passionate because something positive is going to be planned for their bright future. While indulging in the other activities they will learn team work which will provide them the chance to develop their communicational skills as well. Having communicated with other students they will promote new vocabulary. In this way their vocabulary will be enhanced on the basis of speaking skills. Speaking skills are essential to be developed at secondary level because they provide reservoir for the students to reach at the threshold of their success. The purpose of teaching English serves its motive when it is advantageous for the students’ career. Students at secondary level in Govt schools are leading the lives of misery and backwardness. English is being taken for granted. Many scholars have agreed upon the fact that the rate of vocabulary enhancement at secondary in the Govt schools is very low. The management of these schools and Govt they are being unaware of its importance. There is no need to think about the future of the student or the future of country. The dilemma of English language acquisition in Pakistan is that it has been taken as boredom or something which has been imposed on the student to handle with it. Students are in a way compelled to learn it without comprehending the meanings of this language. In Govt schools like Govt. Saint Annies Girls High School and Govt. High Secondary School for Girls are having lots of vocabulary issues. Nothing positive has been done for the betterment of the students of these schools. After observing the whole scenario it has been monitored that students are reluctant even to spell out their problems regarding English language learning freely. They are afraid of the society and its pressure. Students of these schools are habitual with the system which has been provided to them. The effort of this research paper will be a new change for them. They will freely accept it because this research will be the catharsis of their pent up emotions regarding English as second language. According to the theory of human memory students at secondary level have sharp memory once they store anything they keep them in their minds for the longer period of time. Therefore there is a dire need of modifying the ways of teaching English language at Govt schools. There is need to introduce the new framework of English language acquisition for their students at secondary level so that they may get acceleration in the field of English language. The view point of this research paper is being substantiated by the opinion of the Dana Farris and Tracy Tagg in the article “Academic Listening /Speaking Tasks for ESL Students: Problems, suggestions and implications” in which he claims to be the supports the strand of this research paper by indicating the fact that without developing speaking skills construction of the students character cannot be accomplished. The evaluation of the abilities and the aptitudes of the students are determined because of the implementation of the communicational skills. The performances of the students in the learning process of English language are considerable because of the proficiency in the speaking skills. The motive of this research paper is to demonstrate the purpose of English teaching. Vocabulary enhancement through speaking skills gets determined when English is taught as the medium of instructing. 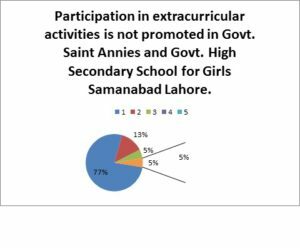 In the Govt Saint Annies School for Girls the quality of English spoken is below than average because of its lack of vocabulary and spoken activities. It has been observed that English is not as taught as it needs to be. There is much to be worked upon having this academic status in terms of English language acquisition. The aspect of written practice leads towards the development in vocabulary. With the enhancement of vocabulary it determines the grammatical skills of the students simultaneously. Because when students take participation in the spoken activities held in the class or outside the class they develop the spirit of confidence which brings precision and correctness in their speaking skills. The point of the research paper has been supported by the strand of the other scholars with some pauses and gaps. This research is filling all those gaps with its forceful argumentation. Teaching English should be for the sake of enhancement in the vocabulary of the students through speaking skills. In the Govt. Saint Annies High School for Girls students are looking for the chances to be groomed mentally. Students want to develop the speaking skills by acknowledging in the field of creativity. They want to be prominent by the dint of their excellence. The problem of lack of vocabulary in the acquisition of English language learning is a big hindrance for their being nourished and nurtured by the agile and active atmosphere of participation in debates, speeches and other activities. The scant of group discussion is also a hallmark in the destruction of the students’ English learning process. They are relying on books regardless from the fact that group study and class discussion leaves a healthy affect on the psychology of the student s which helps the students to grow healthily having the literary environment around. Students are unable to produce even a single sentence on their own at the secondary level. This is a flaw on the part of the students’ English language learning. Students of the Govt schools have the wide communication gap which does not encourage their potentials and capabilities. They are the displaced students in the learning atmosphere because of their being deprived of the liberal and communicative surroundings. The role of pronunciation has always been an important part in the English language acquisition. As it is described “A speaker’s pronunciation needs to be good enough to communicate the message so that it is understood by other speakers of English” (Werstrup124). The emphasis on English language learning becomes more strengthen English is pronounced the way it should be pronounced. The purpose of teaching English should be positive in terms of its pronunciation. The right utterance of the words at the right place makes the person a good speaker. 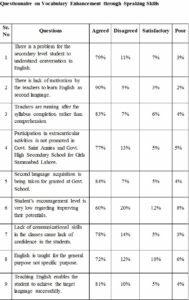 One survey has been held in these schools to observe keenly that what factors are there which are responsible for the failure of the students in the English language acquisition. The nature of this survey remained door to door because while distributing questionnaire among the students they spelled out their problems but they were somewhat reluctant and hesitant to give vent to their emotions and sentiments regarding the issues of teaching the subject of English. After having the result of the survey it has been scrutinized that the response of the students were not favorable for the English language. They shared their problems more confidentially than schools because they were not afraid of the premises of the schools this time. In this way it has been considered the most effective way of judging the crucial points of the issue. The result of the questionnaire and the survey has been demonstrated on the pie charts below. With the help of these pie charts the ratio of the consensus will be cleared through percentage. The main problem is with the conversational skills of the students. Students are reluctant in terms of comprehending the speaking English language. Students of the secondary level do not have rich vocabulary to understand the concepts of the English. In the Govt. Saint Annies school for Girls it has been scrutinized and monitored that no attention is being given on this problematic area of the students. 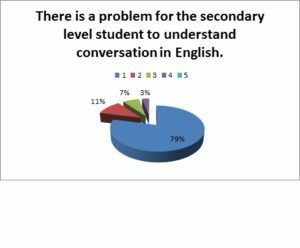 The 79% of the students claimed that they lack conversational skills because they do not take part in the debates and speeches having afraid of speaking English as second language. The 11% of the students were of the view that they have been given all the resources and facilities in taking part in these activities but they intentionally do not follow the rules of the management. Their stance seemed wrong because the majority of the students have argued about their miseries. The 7% of the candidate have given their response in as satisfactory having the system of vocabulary enhancement through speaking skills. They claimed that these schools are providing the opportunities to the students, whereas the majority of the students agreed on the fact that there is lack of motivation in the field of understanding speaking skills. Students are of the view that they are not satisfied with the system what they are having in their school. 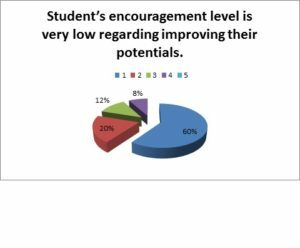 The positive 90% ratio of the response was in the favor of agreed because students agree that their rights are being muffled in the hands of the teachers. English seems a surface language to them as they are unaware of the depth of its concepts. The lack of comprehension in the enhancement of vocabulary through speaking skills makes them feel inferior in the English language acquisition. The 3% of the students have given their response in satisfactory. The 05% of the students claimed that they disagreed over the stance which has been raised against the school. The majority of the students were of the view that they are under the burden of injustice it should not be the implemented on them. It has also been observed that the point of the lack of motivation of the students creates such situation which does not let them to go ahead in the acquisition of English language learning. They want motivation, and acknowledgement from their teachers’ side to make the performance more positive. The ratio of the students whose response was totally against this stance is 2%. They also claimed that one of the basic reasons of their not being fluent in English language speaking is the lack of English speaking atmosphere in class. Neither the teacher talks to the students in English nor the students talk in English with each other. This stance created the aspect of negativity on the part of the vocabulary of the students and as well as the speaking skills. The maximum of the students claimed that they disagree with the methodology and the system of management which provides such standard of education. English language acquisition has to be learnt through practice and the clearance of the concepts. Students are not geared up by the teachers for the further learning. Students were of the view that the lack of motivation from the teachers’ side is the hindrance for them in taking part in the extracurricular activities. 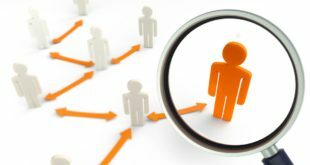 The ratio of the few candidates agreed on this point that they are satisfied with the methods and the patterns that have been offered by the school. They do not have any issue regarding the English language acquisition. This research determines the courage of the students by indicating the fact that their rights are reserved and they will be given to them. The system will be changed and the English will be taught for the sake of enhancement in the vocabulary through speaking skills. When students will be apt in speaking skills then they could participate in the debates, speeches and many other activities which will really be fruitful for them in the positive building of their characters. 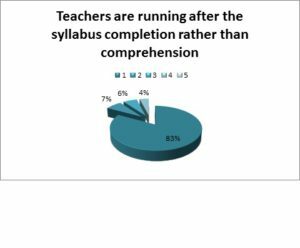 The ratio of 83% of the students claimed that the entire purpose of teaching English Language is just the completion of the syllabus rather than its comprehension. The stance of this research claims that the comprehension lacks in the Govt. Saint Annies and Govt High Secondary Schools for girls. This is a big obstacle in the way of the students in learning vocabulary and takes participation in debates, speeches and other activities. They are afraid of the syllabus which is beyond their understanding. The 7% of the candidates of the secondary level disagreed on the fact that there is lack of understanding regarding English language acquisition. They are positive in terms of the system of teaching English in these schools. This research takes the view point of this paper critically. It brings those issues on the surfaces which are hidden since several years. The 6% out of the thousands of the students replied in a satisfactory manner. Neither they pointed out ant negative aspect nor did they talk about any positivity of the subject matter because there response was passive. The flaw of the school’s management comes in the front when it becomes clear that students are not being nurtured according to the human theory of mind. Students are puppets in the hands of the teachers and being molded by them. Students want exposure and discovery which comes true with the opportunities and facilities provided by the school. Lack of participation and acknowledgement in the field English language acquisition is the main target to be achieved. In the Girls School the rate of the participation in the extracurricular activities is less than average because students’ competencies are not being enhanced and exaggerated they do not refer themselves for the participation. The result of the indulgence of the students in the extracurricular activates has been depicted through pie charts. 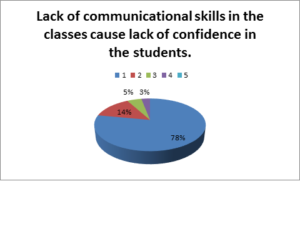 The other crucial point of the lack of the communicational skills in the classroom setting brought on the surface because of the effort of this research. There is lack of communication amongst the students in the class. This happens because of the lack of motivational skills and confidence in the students. The 7% of the students agreed on the fact that there is a great problem for the students in speaking English. The main issue of the students is that they do not have much to translate every word into English which comes in their mind. The second issue is that they have the fear of the audience. This fear does not let them to get acceleration in their language learning acquisition because they have not been trained to speak English with the students in class. The result of this stance has been demonstrated in terms of percentages for the purpose of clarity in the pie charts. The other strand of English which comes in the discussion is that the purpose of teaching English language is not to inculcate the concept of vocabulary and develop speaking skills in the students. Its purpose is to get the general purpose and nothing else. The subject of English is taught for the general purposes rather than any specific purpose. The 72% ratio of the student agreed upon this fact that the purpose of teaching English is not to bring change in the personalities of the students in fact it is demoralizing their characters. This research is peculiar because it throws light on the fact that teaching English should be for the enhancement in vocabulary through speaking skills and not for any general purpose. The stance of enabling the students to tackle the challenges and commands of the target language brought into the discussion in this research paper. 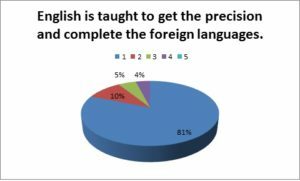 The question which was asked from the students left appalled result because the 81% of the students’ agreed on the fact that they are unable to tackle English as target language. They are having the poor vocabulary and spoken English which threatens them at every moment. The students of the Govt schools are leading the miserable life as far as the English language learning is concerned. This research will really prove a great success on the part of the students because it will provide them platform through which they will be able to change their learning patterns. This research paper will be the hope for the English language learners because it will determine the vocabulary enhancement and speaking skills simultaneously. The enhancement of the vocabulary in the students is due to the speaking skills that can only be developed when the students will be liberal in terms of their communication skills. Students are meant to speak freely because having liberal atmosphere the process of their growth becomes effective. The participation in the extracurricular activities such as speeches, debates and sports help the students in the process of their nourishment. According to the theory of human memory students of secondary level need to be sharp and agile in terms of their physical and mental growth. The purpose of English language teaching is to enable the students to bring the abilities and capabilities of the students on the surface level. The students of the Govt schools should be given the same opportunities the way it is being given to the students of good private schools. It should be a responsibility on the part of the Govt to increase the standard of English language learning through speaking skills. Speaking skills should be promoted to the students at secondary level because these are the asset for them to accomplish their future endeavors. This research would be an advantageous step towards those students who have not been given the opportunities of promoting vocabulary through speaking skills. This research will be able to discourage all those managements which do not appreciate and acknowledge the skills of their students. Moreover it will provide them a platform through which they will accelerate in the field of English Language learning through speaking kills. The purpose of teaching English language should be to promote the vocabulary enhancement. The mission of this thesis will be to determine all those positive aspects which encourage communicative skills. The students of the Govt. Saint Annies and Govt. Secondary girls High School will be able to have the possible change in their English language acquisition. They will enhance their vocabulary through communicative approach in their studies. This research would definitely open the gates of freedom and liberty to the other researchers who are inclined to take up this topic for their research with the different implications. This effort will serve the purpose of a reservoir through which ambiguities and queries regarding vocabulary enhancement through speaking skills will be cleared. Baker, Joanna & Westrup Heather. Essential Speaking Skills. Continuum. New York. 2003. Print. Boyd, Cheryl Zimmerman. “Do Reading and Interactive Vocabulary Instruction Make a Difference? An Empirical Study.” Jstor. 31. 1(1997): .Web. 6th Nov 2014. Castaneda Martha & Rodriguez Eva Gonzalez. “L2 Speaking Self- ability Perceptions through Multiple Video Speech Drafts.” Jstor. 94.3(2011):483-501.Web. 3rd Nov 2014. Ferris Dana & Tagg Tracy. “Academics Listening/Speaking Tasks for ESL Students: Problems Suggestion, and Implication”. Jstor. 30.2(1996):297-320. Web 24 Oct 2014. Hinkle, Eli. “Current Perspectives on Teaching the Four Skills”. Jstor.40.1 (2006):109-131.Web. 28 Oct 2014. Kelley G. Joan. Lesaux k. Nonie et al. “Effective Academic Vocabulary Instruction the Urban Middle School”. Jstor.64.1 (2010):5-14.web. 4th Nov 2014. Kim, Youngkyu. “Effects of Input Elaboration on Vocabulary Acquisition through Reading by Korean Learners of English as a Foreign Language.” Jstor. 40. 2(2006):341-373. Web. 31st Oct 2014. Mancilla Jeannette, Martinez. “Word Meanings Matter: Cultivating English Vocabulary Knowledge in Fifth-Grade Spanish- Speaking Skills Language Minority Learners.” Jstor.44. 4 (2010):669-699. Web. 1st Nov 2014. Marulis Loren M, Neuman, Susan B.” The Effect of Vocabulary Intervention on Young Children’s world learning: A Meta-Analysis”. Jstor. 31. 1(1997). Web. 6th Nov 2014.